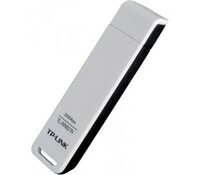 TP-Link TL-WN821N 300Mbps Wireless N USB Adapter, Atheros, 2T2R, 2.4GHz, 802.11n Draft 2.0, 802.11g/b,Atheros chipset	763,00 ден. 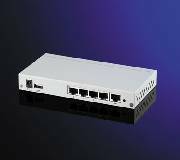 ADSL Router 4-port 10/100 Broadband IS-BR41	790,00 ден. 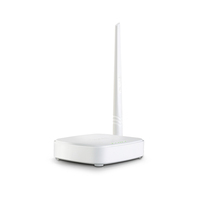 Tenda W316R ROUTER Wireless, 150Mbps 1x5dBi Fixed Antenna, Wireless-N Broadband Router	792,00 ден. 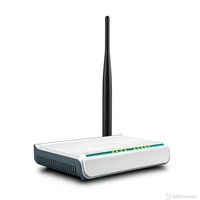 Wi-Fi Router Tenda N150 150Mbps, 5dbi fixed antenna, 1x10/100Mbps WAN Port, 3x10/100Mbps LAN ports; 2.4GHZ, DHCP, PPPoE, Static IP, PPTP, L2TP, WPS, WISP,Universal Repeater;	806,00 ден. N301 ROUTER Wireless, 300Mbps 2x5dbi fixed antennas, 1x10/100Mbps WAN Port, 3x10/100Mbps LAN ports; 2.4GHZ, DHCP, PPPoE, Static IP, PPTP, L2TP, WPS, WISP, Universal Repeater	853,00 ден. 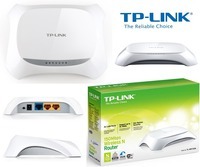 TP-Link TL-WR720N 150M Wireless Lite N Router, Athreos chipset	927,00 ден.